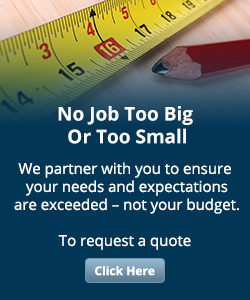 NCS is a true turnkey build-out and tenant fit-up provider. When we undertake a project, we handle every detail from demolition to the final coat of paint. We take on the responsibility of getting whatever permits may be required to start to job, and from that point forward, we take full control of each job we do. We manage and oversee every aspect from the plumbing and HVAC, to the electrical and carpentry work. And we have the capabilities to handle anything else your project may have in store. In many instances, we have even assisted our clients with moving in furniture, desks, etc. when the project is completed to save time, energy and effort. You can feel confident that each component of every project is managed with careful attention to detail as well as on your timeframe and your budget. Contact Northeast Contracting Solutions for your Merrimack Valley build-out and tenant fit-up needs today!